Swedish sisters Johanna and Klara Söderberg have made quite the name for themselves in the handful of years that they’ve been musicians. Starting out with a demo in 2007, Johanna and Klara became the buzz of the music community the next year as the duo’s YouTube cover of Fleet Foxes’ “Tiger Mountain Peasant Song” spread far and wide – racking up 2.9 million views to date. Later that year, the sisters found themselves performing the same song in Holland with Robin Pecknold and co. Since that time, the sisters known as First Aid Kit have delighted millions of fans with their folk-infused melodies laced with their close, heavenly harmonies through live performances and studio material. 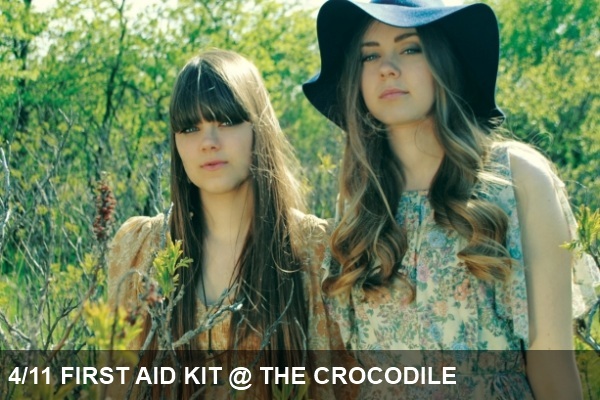 First Aid Kit also released an EP and two full length albums, the most recent the critically-acclaimed Mike Mogis-produced The Lion’s Roar from earlier this year.